Gourmet popcorn popped fresh and packaged in decorative gift tins, gift boxes or by the bag. 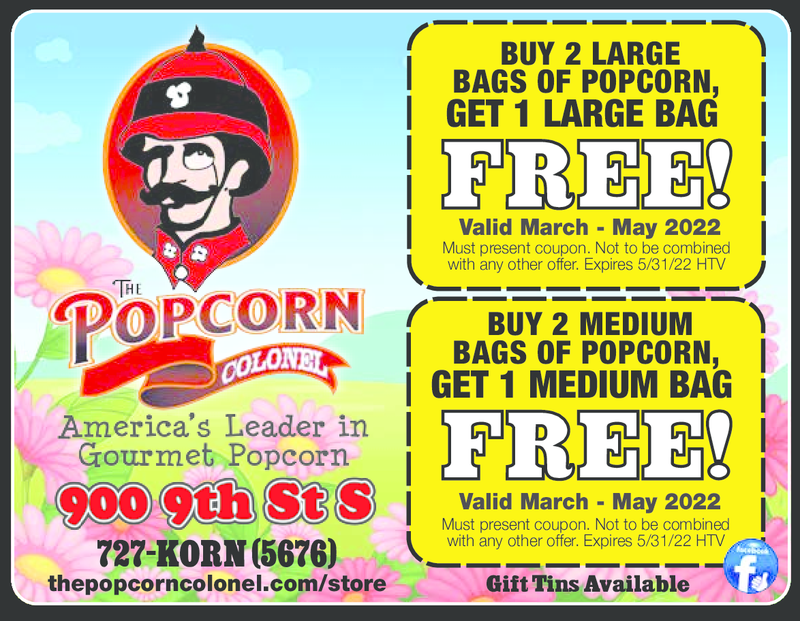 Buy 2 Large Bags Of Popcorn, Get 1 Large Bag Free! Valid March-May Must present coupon. Not to be combined with any other offer. Buy 2 Medium Bags Of Popcorn, Get 1 Medium Bag Free!